Smith Channon has been managing the handling and movement of international freight for more than 130 years. 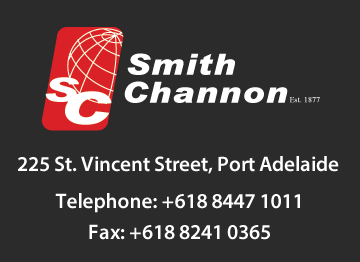 Based in the heart of Port Adelaide, Smith Channon has developed a reputation of excellence in customer service with our freight forwarding, barrier clearance and support operations. We have grown as the freight forwarding industry - and Port Adelaide itself - has grown. We were among the first businesses to use technology to process and handle our clients' international freight more efficiently. With more than 130 years experience in forwarding freight around the world and working in many ports. Up to date Barrier Clearance knowledge & years of experience. Our qualified staff will take care of your clearance. Would you like to discuss your freight forwarding requirements? Our online form is quick & easy to use.